No matter how much work you put in there may still be one part of your body you wish was smaller, flatter, tighter or just a little different. As ageing progresses, many people develop fat pockets around their body, independent of their healthy lifestyle and exercise. Ageing – fat distribution changes with age, despite a normal body weight. Genetics – Some people inherit a predisposition to accumulate fat around their body, even though their body weight is low or normal. Talk to Skin Institute about ways to tackle fat deposits through non-invasive treatment. Feeling confident and looking the best you can are things we all aim for. 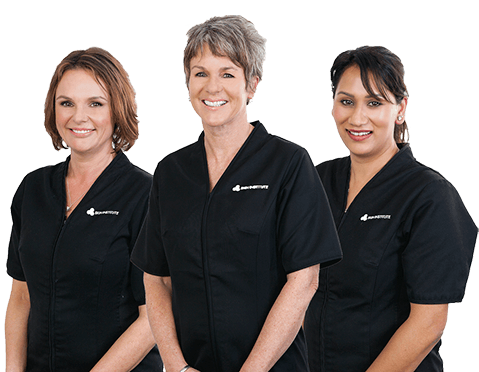 Skin Institute has over twenty years of experience in skincare, and we pride ourselves on keeping at the forefront of developments in appearance medicine. Our expert teams are helping Kiwis across the country show the world their best face – and you could be one of them.